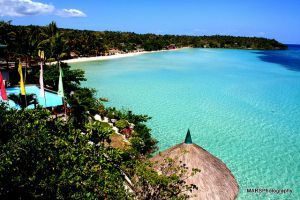 Pangasinan is one of the country’s most prized regions as it is a host of pleasurable attractions. Diversity is perhaps its allure, launching hordes of both local and international tourists on an annual basis. It boasts of picturesque landscapes, natural wonders, interesting culture, sumptuous dishes and warm people. Pangasinan is indeed a delightful mix of history, beauty and innovation. Founded in 1580 by the Anakbanwa, Pangasinan is a name that means “a place for salt”. This province is in fact the Philippines’ major producer of salt. With it, the people from Pangasinan capitalises on salt as evidence by their iconic products like “bagoong” (salted fish) and “agamang” (salted shrimp). 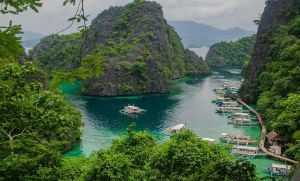 To start the list is the postcard-worthy Hundred Islands National Park which is located in Alaminos. 123 islets sit in the 18.44-square kilometer spread of Lingayen Gulf just near the South China Sea. Out of those, only a few of them have been developed to host tourists. Tip? 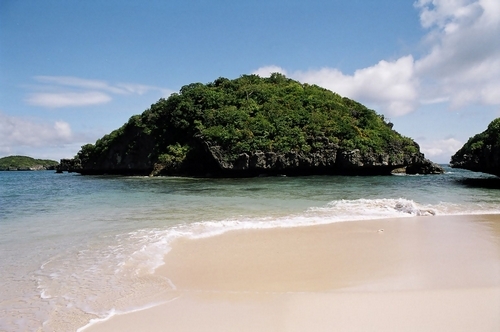 Visit the Quezon Island if you’re in for some R & R with its splendid cottages and kiosks. Devotees flock to this beautiful Shrine because of the hundreds of pilgrim testimonials and miraculous tales attached to its rep. The Our Lady of Manaoag is one of the venerated Marian figures of the Roman Catholic world. It has been said that the holy water and oil coming from the Shrine have healing powers. We all know how the Philippines is studded with the finest beaches, and this stunner definitely brings something new to the table. Lingayen Beach has powdery sand enough to make athletes run barefoot, yogis perform their thing and kids build artsy sandcastles. One word: refreshing. Along the dense forests of Bolinao lies a majestic waterfalls complete with emerald green waters and refreshingly cool waters everyone should bathe in. It’s definitely the best stop after hours of an exhilarating trek. Pangasinan is certainly known for its fine heritage rooted also from the Spanish colonisation of the country. Catholicism paved the way for stunning churches, one of those is the Augustinian-founded, stone facade-clad and Mexican-inspired altar of St. James Parish. Cape Bolinao Lighthouse is a tall structure erected sometime during the American settlement of the country. It is second to the Cape Bojeador Lighthouse of Laoag in terms of height. You would not want to miss that splendid 360-degree view of the South China Sea from the top. Pangasinan also have some spelunking adventure for you in the form of this secret gem called the Wonderful Cave. Retreat from the summer heat in the cave’s clean and cool mineral water. Situated in Alaminos is this educational stopover otherwise known as the Multi-Species Fish and Invertebrate Breeding and Hatchery. Developed by the Department of Agriculture, this gated facility features a bunch of marine animals you have no idea they exist. Perhaps cultural enthusiasts will agree that the country’s best capitol by far is Pangasinan’s Lingayen Capitol Complex. Amidst the damages it sustained during the Second World War, this rehabilitated yet captivating structure still exude the same beauty and elegance since its inception. Standing at 383 metres high is this inactive volcano called grand Mount Balungao. Nature trippers wouldn’t want to miss the challenging trail and the ethereal springs, both in hot and cold. To write about Pangasinan in a few words is definitely an understatement. No amount of words can fully grasp the sheer beauty that Pangasinan has to offer. So, see for yourself and experience these travel-worthy attractions. You know, it’s more fun in Pangasinan!